Looking To Stream Online Video and Want The Best Router For The Job? Today we are going to cover the best router for streaming online. Whether you're watching videos on YouTube, Hulu, Popcorn or catching the latest Netflix series, you want the streaming to flow with consistent, uninterrupted speed. However, at times we may find ourselves having to deal with slow speeds which affect the quality of our streams. Before you lay the blame it on your ISP, I suggest you look at the router you're using first and foremost, and since you're here reading this, it's great that you're already aware. There are many routers that are ‘OK' for the job, but we want something that will eliminate buffering and allow us to watch our video in full HD or 4K. The challenge most users face lies in choosing the best router for viewing videos. You’ll want to make sure it's the one you opt for can meet multiple, simultaneous demands within your home. At times you may have a family member gaming or downloading files from the internet all while you are trying to stream a movie. To ensure you stream a high definition movie without the slightest of issues, you will need a high-quality WiFi router. And if you do your due diligence, you can get a device that meets your streaming needs without having to spend way over the top. WiFi routers come with varied functionalities. Today, you can purchase either a single band, dual band or tri-band router. While single band routers host one wireless frequency – 2.4 GHz band -, the dual and tri-band routers have both the 2.4GHz and 5GHz with the latter having two 5GHz bands. The 5GHz frequency is much faster and less prone to interferences making it ideal for streaming HD movies and as such, if your home has multiple Wifi users, a Tri-band router will serve you better. Routers supporting the latest 802.11ac standards are much faster and can handle multiple connected devices better. When using one that supports older standards, you may notice dropped connections, slowly loading web pages and streaming video that stutters and constantly stops to buffer. To avoid this issues or having to upgrade again in the near future, it’s better to opt for a one that offers 802.11ac support. To help you to help you pick the best router, we spend adequate time researching and testing the different routers available on the market. 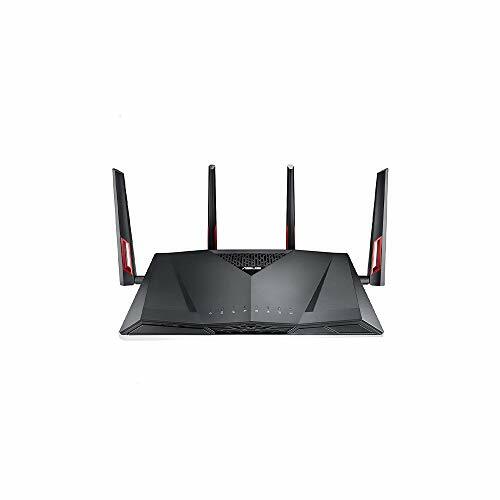 The Nighthawk X4S AC2600 Smart WiFi Router is a great device that impresses on many levels. The device is not only ideal for 4K video streaming but also performs well in online gaming as well. The router is designed with an extremely powerful 1.7GHz dual-core processor enabling the it to attain speeds of up to 2.53Gbps. The integration of MU-MIMO technology and Quad Stream technology delivers WiFi to multiple devices simultaneously for faster speeds. The X4S is equipped with 4 high-gain external antennas and Beamforming+ for enhanced range. Additionally, NetGear added Gigabit Ethernet ports enabling you to enjoy a fast wired connection. Thanks to 2 USB 3.0 and eSATA ports, you can access storage anytime from anywhere. And as if that’s not enough, the router is compatible with Amazon Echo/Alexa allowing you to control your home network using voice commands. The NetGear R6400 remains our best router for streaming. 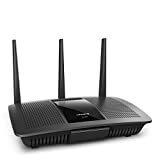 It is a dual band router (2.4GHz & 5GHz bands) router and this enables it to reduce interferences for better connections. The R6400 features Next Generation Gigabit WiFi technology enabling you to enjoy fast internet speeds and more reliable streaming for your home computers and mobile devices. The router is good for homes with multiple WiFi users and can support speeds of up to 1750Mbps. The R6400 comes with a plethora of amazing features such as the Beamforming+ technology and high powered amplifiers and antennas for an extended WiFi coverage and smoother HD streaming. However, what I liked the most about this NetGear R6400 was the Quality of service feature. QoS options give you control over your home network and how it performs. The feature allows you to prioritize your internet traffic and you can set your Roku or any other device you are using the other connected devices enabling you to enjoy uninterrupted 4K streaming. For example, you can limit your kid's gaming to a minimum while you are streaming movies. 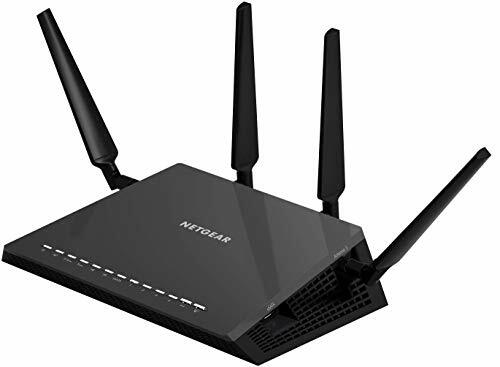 Additionally, this 802.11ac NetGear R6400 is designed with 5 Gigabit Ethernet ports – 1 WAN and 4 LAN for high speed wired connections and a USB port enabling you to share a USB hard drive and printer across the network. The NetGear R6400 is also compatible with Amazon Echo enabling you to control your home network using voice commands. What’s more? The R6400 is equipped with OpenVPN support for added security and advanced parental controls. It is easy to set up and thanks to the NetGear Up app you can get the router up and running in minutes. The NetGear R6400 is currently on Amazon which is a great price considering the routers excellent performance and features. The LINKSYS EA7500 is the best router for streaming movies, able to power your streaming and gaming with Next Gen AC WiFi. It utilizes Multi-User MIMO technology to ensure a fast, uninterrupted Wi-Fi connection even when multiple devices are connected at the same time. The MAX-STREAM AC1900 offers 3×3 Wireless-AC technology that delivers three simultaneous data streams for faster performance. And with the Linksys EA7500, you can stream your favorite TV shows and movies in high definition. The device comes with simultaneous dual-band speed of up to 600 Mbps on the 2.4 GHz band and 1300 Mbps on the 5GHz band for intensive uses such as 4K video streaming. Additionally, the Linksys EA7500 has four Gigabit Ethernet ports and USB 3.0 and USB 2.0 ports to provide high-speed data transmission for wired connections. It is designed with 4 external high-performance antennas which ensure supreme Wifi signal strength in multi-level homes. Beamforming technology enables the router to strengthen the Wi-Fi signal to specific devices, rather than simply sending out Wi-Fi in a general direction allowing you to focus WiFi on specific devices. This results in faster Wifi speeds, better wireless range, and stronger Wi-Fi connections. 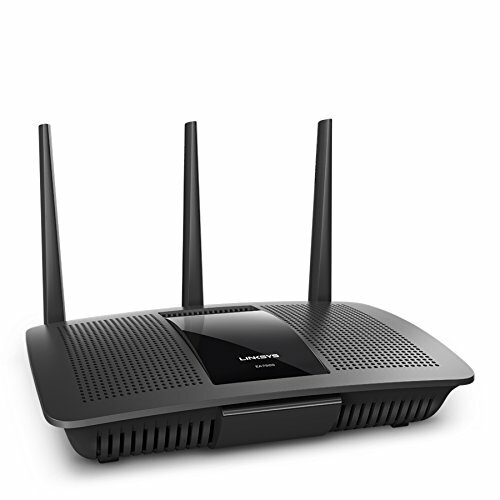 The Linksys AC1900 is equipped with a Smart WiFi software enabling you to manage your WiFi remotely. This easy-to-use app places a powerful suite of Wi-Fi customization tools in the palm of your hand. You can use it to send guests Wi-Fi passwords, prioritize your devices, and set parental controls. The router is easy to set up but, it’s more expensive compared to the NetGear R6400. MU-MIMO directs signal directly to your device. Initial setup a little weird. The Asus RT-AC88U is another amazing router. Not only does this device make HD streaming a bliss, but it also offers a great range making it possible for you to enjoy movies from anywhere in the house – even the porch. It features the most recent 4×4 802.11ac MU-MIMO technology, which allows multiple devices to run concurrently at fast speeds. The RT-AC88U delivers a combined 3167 Mbps Wi-Fi with the 5GHz band at 2100 Mbps and the 2.4GHz at up to 1000Mbps which are more than enough for 4K streaming. Another thing I liked about this one was its coverage. Asus designed it with four transmit and four receive antennas significantly improving both Wi-Fi range and signal stability. Beamforming further focuses the WiFi signal on the connected devices, making your WiFi faster, clearer and stronger. Beyond coverage range, the Asus RT-AC88U excels with a wide range of innovative features and revolutionary hardware. Asus RT-AC88U offers inbuilt game acceleration and access to route-optimized servers to ensure consistently low ping times during gaming sessions. And with the ASUS Router App, it’s much easier and more intuitive to manage your ASUS router. From the initial setup and network traffic monitoring to managing connected devices. What's more? The RT-AC88U's comes with AirProtection which offers maximum protection. It’s easy to install and boasts a feature-packed and easy to use web interface. The Asus RT-AC88U may be expensive but when you consider its performance, the price can feel justified. Eight super fast Gigabit LAN ports. All though most of these are slightly higher priced than your average WiFi router, they do come with amazing features enabling you to stream Ultra HD and 4K videos without a stutter or the dreaded buffering. 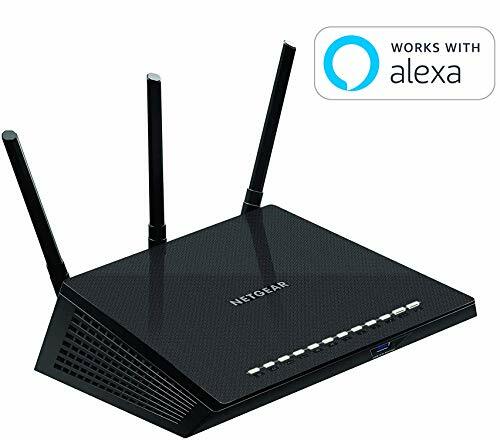 The NetGear R6400, the cheapest router on our list, gives you the best value for your money, whilst the NetGear Nighthawk X4S comes out the top of our routers suitable for streaming online. Not only does it perform admirably when streaming but it’s also equipped with a collection of amazing features that make it stand out. All in all, you can’t go wrong with any of the listed routers.